Just over a year ago, I walked in to a T-Mobile store and bought a Samsung Galaxy Note 4, and signed up for my very own cell phone plan. I had been on my family's plan since high school, and thought that I was finally grown-up enough to pay for it myself. Having had iPhones for the last 6 years, there was something very exciting about switching to an Android phone. I looked forward to customization, bigger screens, and technology that Apple hadn't yet incorporated into its phones. The first few months with my Note 4 were bliss. I had an active stylus and could take handwritten notes in meetings at work! I had an ultra-high resolution screen that was brighter and more colorful than anything I'd seen. The camera was phenomenal and could shoot 4k video. Memory expansion! Fast charging! What an amazing device. After a while, I had made the decision that Android was clearly superior, that I'd never need an iPhone again, and this was a great idea. Then I got an update. Android updates do not typically work the same way as Apple's do. Sure, if you have a Google-endorsed Nexus phone, you get updates the day that Google releases them. Unfortunately, if you don't have a Nexus phone, you might not get updated at all. 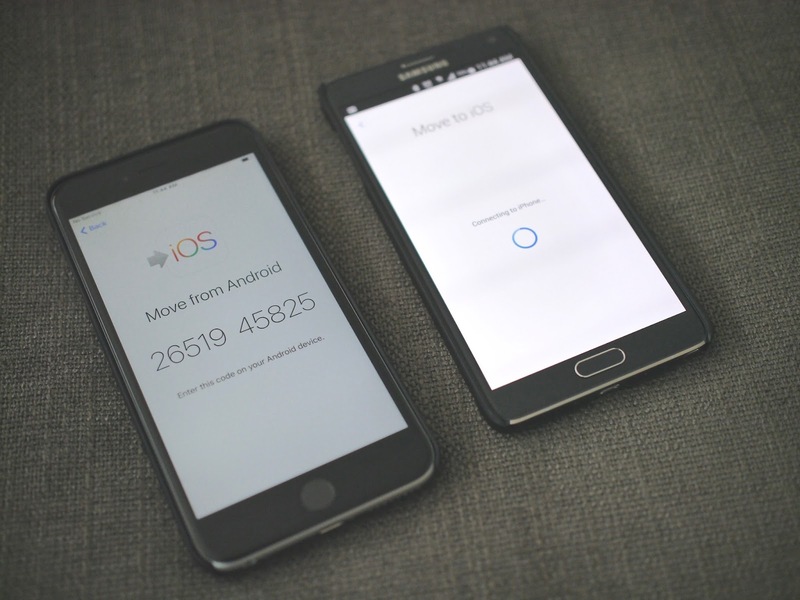 Here's how updates work: Google updates the Android operating system. Then, your device manufacturer (in my case, Samsung) updates whatever customizations they've made to Android. This can take weeks or even months, or not at all if your phone is old enough. After Samsung says their update is ready, they send it to your cell phone service provider (T-Mobile). Then, T-Mobile updates their custom software (things like voicemail, HD voice for calling, other little apps) before releasing it to the public. And again, depending on your phone, this might not happen at all. (Apple releases updates to all supported devices without regard to carriers, because there are no carrier customizations). This is what happened to me after June 2015. Bear with me on some numbers. T-Mobile pushed an update from Android 4.4.4 to Android 5.0. This was catastrophically bad. My excellent battery life and performance turned into a sluggish, unresponsive experience. I waited desperately for the day when I would be pushed to upgrade to the much-better 5.1.1. I eventually received 5.0.1, which was still just bad. So I started trying to get answers. It turns out, Samsung had already released the update, but T-Mobile was dragging its heels on actually pushing this out to its customers. Around this time I suspected it had to do more with getting me to pay for an upgraded phone than actually fixing a broken user experience. For whatever business decision that was made behind closed doors, it was clear that either Samsung or T-Mobile had decided that I would not be getting a 5.1.1 update, and would have to wait until 6.0 was ready (as of November 2015, this update has been released for Nexus phones, but not for the Galaxy Note 4). Two instances of having my charged battery die on me (30% one time, 60% another) forcing me to plug in the charger before it would turn back on, and I had had enough. 361 days after I signed up with T-Mobile and purchased my Android phone, I walked back to AT&T and bought an iPhone 6S Plus. My new phone is basically the same size as my old phone, has almost the same feature set, a fantastic camera, a great screen, but generally feels better to use in almost every conceivable way. I've been using Apple computers for 7 years or so, from the Mac Mini I bought myself when I graduated college, to the MacBook Pro that's still working great, even at 5 years old. My current Mac Mini is 3 years old and still incredibly powerful for what I need it to do. Apple makes great hardware, and so does Samsung, but the long-lasting support makes me much more confident when I buy an iPhone or Mac than picking up this month's latest Android phone. Nothing about these computers or devices feels disposable, my mom uses my old first generation iPad as much as her Microsoft Surface Pro 3. The reason these devices are able to last so long is that they're not doomed to obsolescence, even after the new model comes out 6-12 months later. I know PCs, phones, and tablets that last years and years. But the world of portable devices, tablets & phones, are marketed and sold in such a way that we're compelled to get new ones every year. What instills confidence, is knowing that I don't have to.